I had written about the reinvigorated Ten Mile River Historical Trail this past summer; there was an earlier version with a pocket and jacket patch issued. Can anyone provide the timeframe? I believe it was at least 15 30 years ago. Cross posted this to the Facebook Friends of the TMR Museum and got a couple of updates. Ian Pinnavaia posted this link to the TMR Museum website. The Medal and two patches (pocket and Back) were ordered when Dan Ruth was still at GNYC. He left for National after the 1989 summer season. When the supplies ran out Ron Green would not approve a reorder. Hope this helps. 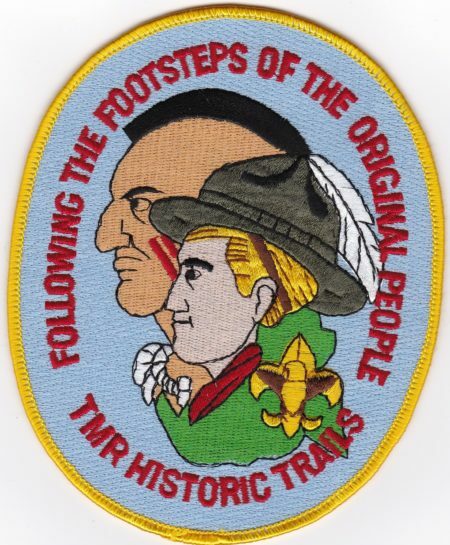 I did a 50+ mile afoot/afloat trek back in either 1993 or 1994, leaving out of Kunatah, and I’m pretty sure I got this patch afterward.